Trim* Corsey lost his 7-month-old son to Pneumonia on this date, April 12th, in 1849 and had the infant buried at Bethel Burying Ground. 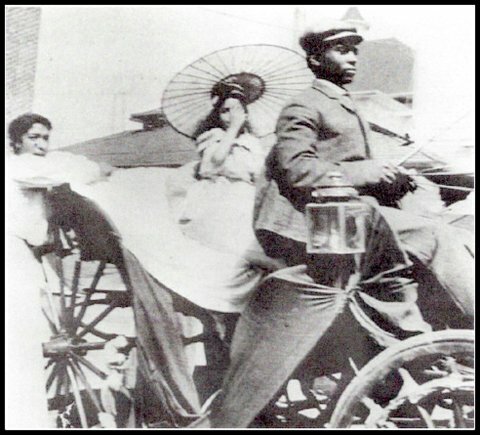 Mr. Corsey supported his family as a coachman making $15 a month. Ms. Corsey was a washerwoman adding to the family’s income that paid their rent of $56 a year for a room at 15 Watson’s Alley in the Cedar Section of the City. The alley ran south from 104 Locust Street and no longer exists. *Ancestry.com reports that the name “Trim” is a nickname for someone who is known as “a well-turned out person.” The name was first reportedly used as far back as the 16th century. I have not been able to locate any documents that reveal another first name if there is one.